Deborah Lieberman, Montgomery County Commissioner, said the criminal justice system is doing an incredible amount of work because of the heroin epidemic. Phil Plummer, Montgomery County Sheriff, said Dayton, Ohio is leading the nation in heroin work. Congressman Jim Sensenbrenner represents Wisconsin’s 5th district. Sensenbrenner was the primary author of the CARA Act legislation. A heroin epidemic response roundtable was held in Dayton Monday afternoon. 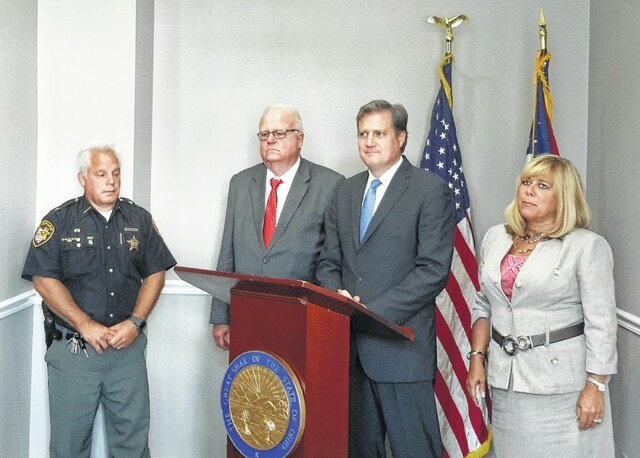 Pictured, from left to right: Phil Plummer, Montgomery County Sheriff, Jim Sensenbrenner (R-WI), Mike Turner (R-OH), and Deborah Lieberman, Montgomery County Commissioner. 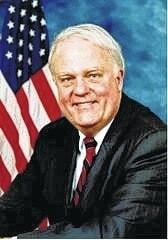 Turner, a representative for Ohio’s 20th Congressional District, and Sensenbrenner, who represents the 5th congressional district in Wisconsin, said Monday that more border control is needed with Mexico to stop illicit drug trafficking. Congressman Mike Turner and Congressman Jim Sensenbrenner hosted a Heroin Epidemic Response Roundtable at Turner’s district office in Dayton. “I want to thank Jim Sensenbrenner and welcome him to our community. He is the author of the primary legislation that has impacted the heroin epidemic across the country—the CARA ACT—which has been signed into law by the president,” said Turner during opening remarks Monday afternoon. Turner said the CARA Act will not only provide resources to communities but also impact the processes by which government tries to rise to the occasion to address the epidemic. Deborah Lieberman, Montgomery County Commissioner, and Phil Plummer, Montgomery County Sheriff, joined in on the forum with various other community leaders in social service network, government, and criminal justice. Turner said the discussion was an opportunity to talk about how to intervene in people’s lives to do three things. “One, heroin and opiate prevention: how can we stop people from taking that first step that leads to addiction? Two, intervention and diagnosis: how do we find people who are addicted? And three, treatment: how do we get them into treatment and how do we find the resources to do that?” said Turner. 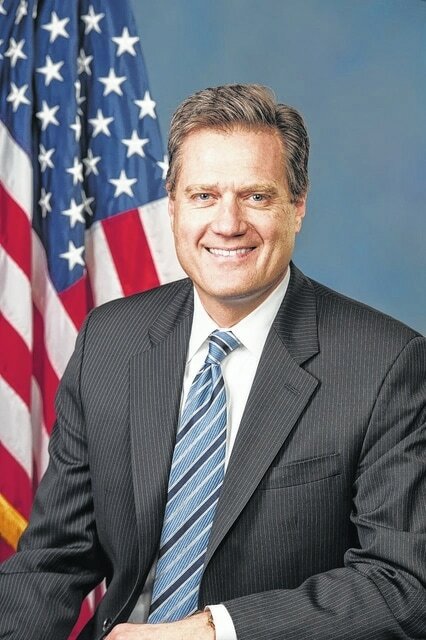 Turner has worked to co-sponsor two pieces of legislation which have been introduced to Congress—The CRIB Act and the TREAT Act—to try to find funds for treatment. A study published in 2015 in the Journal of Perinatology looked at births between 2009 and 2012 and found that more than 20,00 infants were born with opioid withdrawal syndrome. According to the study, aggregate hospital charges from that treatment increased from $732 million to $1.5 billion. Eighty-one percent of that was attributed to state Medicaid programs. Turner said he is also pleased to have a lot of local support for the Recovery Enhancement for Addiction Treatment Act—TREAT—that changes the way addicts receive treatment while incarcerated. Under current law those who are incarcerated cannot access the Medicaid fund that they were eligible for prior to being incarcerated. Turner said those addicts should remain eligible for their Medicaid in order to be able to apply for treatment while incarcerated to be able to break the cycle of addiction. Sensenbrenner, the author of the CARA Act, said it provides additional money for law enforcement, first responders, social services, and those working in the medical area to deal with the epidemic of heroin that is affecting not only each city but the entire country. “You know that there were more people who were killed by opioid overdoses last year than were killed in car crashes in the United States. We have to go full speed ahead with this. It has to be a coordinated response. It has to deal with education and prevention. It has to deal with medical consequences of people who overdose and are on the verge of death. And also it has to deal with treatment so people don’t go right back to square one. This bill is funded, the money is there, and Congress has done its job. Now its up to the administration to set up the guidelines for getting the grants and for communities to get their act together and have a coordinated response so that there isn’t any duplication of grant activity, but also to be prompt because if a community doesn’t get in a grant application quickly, the money will go someplace else,” said Sensenbrenner. Turner said they formulated a to-do list during the discussion that he found very impressive. Deborah Lieberman, Montgomery County Commissioner, said it was important for the community to hear from everyone. “One of the things we’re very good at, Congressman, is collaborating…and I think by having everyone at the table and communicating with each other, when we hear about a heroin addict who didn’t know where to go, and didn’t know where to find the resources, that is not okay. And so we have to do a better job because we are putting a lot of money into this with these additional funds. We are going to get it because we are going to work together,” said Lieberman. She said organizations like the sheriff’s office, the police departments, the fire departments, and the judges are doing the best work and have an incredible amount of work—work they didn’t have five years ago. “This epidemic has hit every part of our community, worst on the east side but it has hit everyone. I think we’re all to the point where we know someone who has died from an opioid overdose or we have someone who we love or care about or work with that is addicted, so it’s gotta stop and it’s gotta stop now,” said Lieberman. 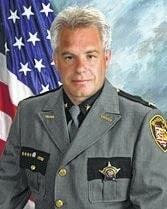 Turner said the sheriff is on front lines of the heroin epidemic battle, on the drug trafficking side, on dealing with the increased criminal activity that results from those who are addicted to heroin and opioids, and in trying to address those who are addicted and who are ending up in the jail. “We’ve been underwater. Dayton has made national news about our problem here. It’s not just Dayton’s problem, it’s everybody’s problem nowadays, so it’s a breath of fresh air knowing you guys in Washington are doing your due diligence, you’re passing legislation, now you’re releasing funding to help us do our jobs. I also want to thank Senator Portman for his hard work in the CARA Act. This has been unbelievable the amount of work this has put on us. Yesterday we had an event with the Friends of Addicts downtown and I personally had 12 young females come up to me and say I want to thank you, you saved my life—from our hard work. We have a great grassroots effort here, I think we’re leading in the nation in our work with this problem. Thanks to you guys we’re going to have resources…we’ll see better results coming,” said Plummer. Plummer said they are seeing newer types of fentanyl now. “Up in Cleveland they have the Carfentanyl, that’s animal fentanyl, so it’s 100 times stronger than the fentanyl we’re currently dealing with, so that’s why we’re worried about if the Narcan is going to work. We’re hitting people six and eight doses of Narcan to revive them but it’s so, so powerful, and it gets so embedded in them, I don’t know if we’re going to save them on Narcan, so that’s why I’m glad that these resources are coming. I don’t know if Cincinnati got hit with that, we haven’t seen it yet, but we’re trying to get ready for it,” said Plummer. He said as they work to combat the supply and demand, it becomes a game of cat and mouse. Plummer said they watch where the overdoses hit the hardest, and then they’ll throw more resources for enforcement in those hard hit areas, but it has became a big strain on the budget. “It’s a huge strain, we’ve wiped out all of our overtime, we’re broke. We’re looking to have to devote more resources to this problem. We’re doing our jobs plus a lot more because of this epidemic and we need more resources to balance that out. I’m blessed I have great employees who work very hard,” said Plummer, who said he wishes he had a force twice the size. On the east side of Dayton, the Dayton City Police Department can be seen actively and continuously patrolling streets and parking lots. Sheriff’s deputies—working in pairs—talk to people at the gas stations at exits off U.S. Route 35, which has become a major trafficking highway across southern Ohio, linking Dayton to Chillicothe. Here, Plummer said a gel cap of a heroin/fentanyl mix still costs about $5, so that’s why he doesn’t think they’ve touched the supply yet. But he said his force has taken about a half million dollars from drug traffickers that would have gone back to Mexico. Sensenbrenner said he thinks Dayton is ahead of most of other communities in the country in the melding of law enforcement, social services, first responders, the universities, and non-profit organizations working together on the epidemic. 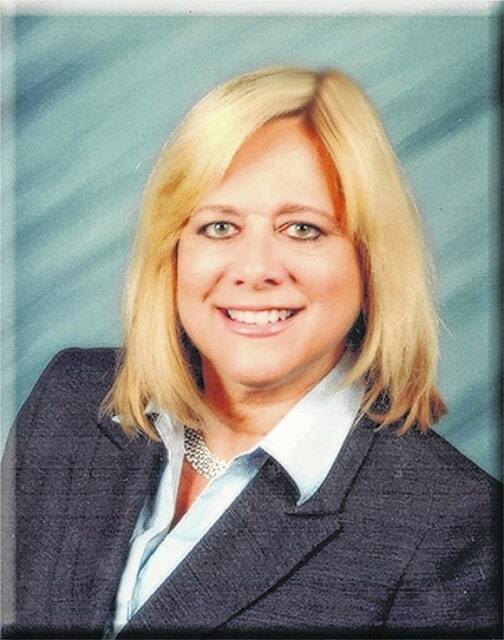 https://www.recordherald.com/wp-content/uploads/sites/27/2016/08/web1_Mont-Co-Comm-Deborah-Lieberman.jpgDeborah Lieberman, Montgomery County Commissioner, said the criminal justice system is doing an incredible amount of work because of the heroin epidemic. https://www.recordherald.com/wp-content/uploads/sites/27/2016/08/web1_Mont-Co-SheriffMajorPhilPlummer.jpgPhil Plummer, Montgomery County Sheriff, said Dayton, Ohio is leading the nation in heroin work. https://www.recordherald.com/wp-content/uploads/sites/27/2016/08/web1_Sensenbrenner.jpgCongressman Jim Sensenbrenner represents Wisconsin’s 5th district. Sensenbrenner was the primary author of the CARA Act legislation.